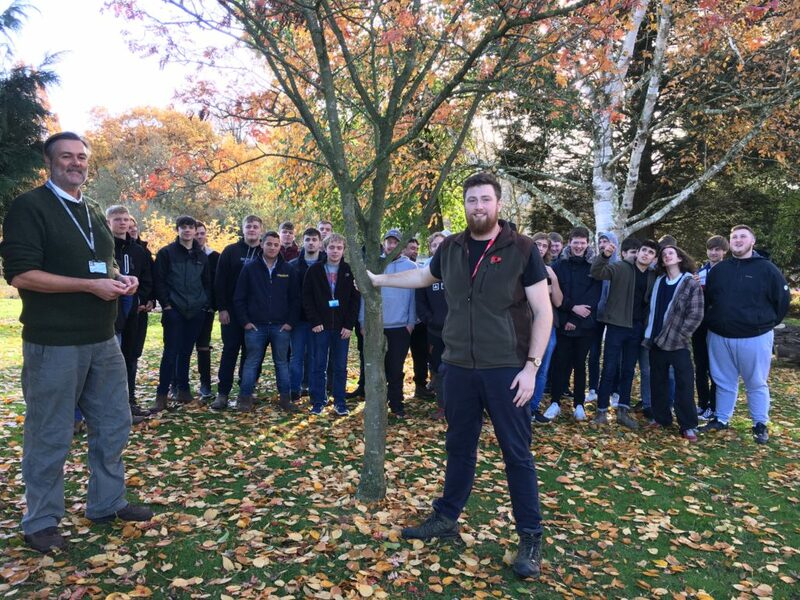 Our forestry and arboriculture students gained a valuable insight into careers in commercial forestry during a lecture from Adam Todd, Future Foresters Officer for the Royal Forestry Society (RFS). Twenty Level 3 Advanced Extended Diploma students had the privilege of hearing Adam describe first-hand the wide range of career options in the commercial sector and were able to question him about how the industry may change in the future. They also enjoyed a tour of the campus grounds to look at some of the college’s more unusual tree species. Some students find their niche in commercial forestry thanks to work experience during their course and go on to full employment in the industry. Following his talk, Adam said: “I’ve very much enjoyed my visit. This is the first time I’ve been to Reaseheath and I’ve been very impressed with the level of engagement and enthusiasm from both first and second year students. This is a reflection of the excellent level of teaching from Dr Leigh Cawley and colleagues in the countryside department. “Sharing knowledge is the core mantra of the RFS and we believe that giving industry information to Further Education students is of great importance to their development. Reaseheath’s Countryside Department has long standing links with the RFS, which is the representative body for the forestry industry. The RFS sponsors the ‘Silky Saw’ award for the best Level 3 Forestry and Arboriculture student each year. Caption: Adam Todd discusses the trees in Reaseheath’s campus with our forestry and arboriculture students.